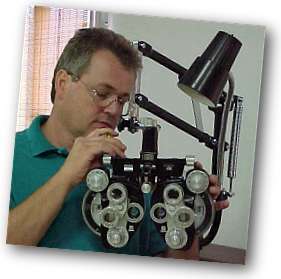 Armstrong Optical Services Co. is north Texas' best source of ophthalmic equipment & optical supply. Located in Denison, Texas, Armstrong Optical serves both a local and national client base of ophthalmologists and optometrists. Since 1989 and Still Growing! Since 1989, Armstrong Optical Services Co. has serviced the ophthalmic community, and is undergoing constant growth due to our satisfied customers. However rapid our growth, our top priority is to customer satisfaction. We will continue to provide you with quality service and dependability. As our product line and customer base grows, we continue to improve the ophthalmic equipment product information we provide to make your decisions easier. Armstrong Optical Services Co. offers new, rebuilt and reconditioned ophthalmic equipment, optical equipment and instruments. We carry a large supply of bulbs, print paper, chin rest papers, and other supplies in stock so that we can get your order to you promptly. Service to you is our number one priority. If you are having problems with your present equipment, you need new equipment or repairs, contact us and take advantage of our preventative maintenance program.